Now a day there are many types of insurances available for homeowners and each one of them is not easy to understand. Income protect insurance is one of them. Over time many people have realized the benefits this insurance comes with but other individuals have certain misinterpretations. People don’t know how insurance can help. Lack of insurance knowledge can keep people away from the benefits of this insurance. We at Local Records Office have created a list of the 5 most common myths and debunked them for people who want simple answers. This myth is number one for a reason; it’s also the main reason why many people don’t get premium insurance on property, vehicles and other things. If you have been truthful about your personal information to your insurer, then you will definitely get paid every time you file a claim. If you are still unconvinced then you can check out the payouts provided by different insurers. 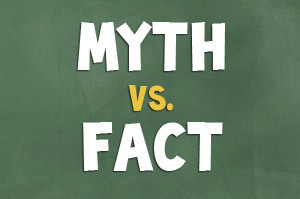 Myth #2: Is My Insurance Policy is Over Priced? Prices are given out depending on health, age and the kind of job you have. But premium insurance benefits are only given to people with healthy lifestyles. So, if you are living a bad lifestyle now is the time to change for the best. The first thing you should stop doing is smoking cigarettes. Cigarettes is one of the reasons why peoples policies sky rocket, and that’s not including the health problems that come with it. The second thing you should cut off on is alcohol. Alcohol has been linked to mouth, throat, esophagus, colon and breast cancer. Insurance is a blessing in disguise when individuals do not have enough money coming in when you are sick and it helps with bills, expenses, car payments etc. So it’s never a waste of money. Some people may see it as a waste of money but it’s usually because they are not informed of how important it is. The majority of insurers are ready to offer the most of the income of policyholder, which can easily cover cost living. A smart thing to do is to see if your employer is offering any statutory sick pay benefits. If your work does offer it then you can reduce the insurance premiums by getting an extension. This is one of the biggest myths we hear at Local Records Office. With the rise of self-employment many companies offer insurance specifically for individuals. One thing you’re going to have to keep in mind is that if you’re income varies you may have to keep checking your policy. Some of us don’t have the time and knowledge to understand most of the policies. Let’s face it insurance gets expensive over time it doesn’t matter if you rent or buy, so getting the right one is crucial. With the right information and sources you will save money and time. The right policy for your car, home and self could take a lot of time and may take many phone calls but anything worth doing takes time.